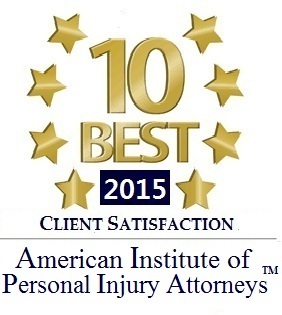 Accessible Las Vegas Personal Injury Attorney Caring About Injured Clients since 1974. Going the extra mile to protect those injured in Nevada by the negligent acts of others Keith E. Galliher, Jr., an ardent protector of those suffering personal injury from the negligent and reckless acts of others, founded The Galliher Law Firm in Las Vegas to provide skilled, aggressive legal advocacy along with individual attention and personal service. Keith E. Galliher, Jr. is proud of the relationships he has built since 1974 with the clients who have come to the firm for help and with the Las Vegas community. If you have lost your job, income and life as you know it as a result of a head or spinal injury or have medical bills related to an auto accident or slip and fall injury, The Galliher Law Firm is ready to hold the people or business responsible for the harm they caused you. From the moment you hire The Galliher Law Firm, you have a trial lawyer who cares about you and your case from initial consultation until its final resolution through trial or settlement. We believe a settlement is the best outcome. Mr. Galliher is accessible he returns your calls and meets with you in our Las Vegas office or in your hospital room or home. You are in good hands with Mr. Galliher, who is AV Preeminent Peer Review Rated by Martindale-Hubbell a distinction signifying his high ethical standards and professional ability. Mr. Galliher is a fellow of the American College of Trial Lawyers, an organization composed of the top one percent of the trial lawyers of America. Membership in the college is by invitation only. Putting more than four decades of legal experience to work for you The Galliher Law Firm understands that no matter how you've been injured, your focus should be on recovering from your personal injuries and not on the details of your personal injury case. That is our job. 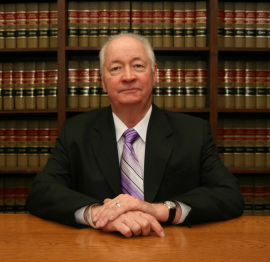 Keith E. Galliher, Jr. is ready to fight to get you the compensation you deserve. We represent clients in a variety of plaintiff personal injury cases, including: -Automobile accidents -Slip and fall accidents -Head and spinal injuries -Truck accidents -Motorcycle accidents -Pedestrian accidents -Vehicle rollover accidents -Construction accidents -Animal bites -Wrongful death Successfully protecting injured people throughout Nevada The Galliher Law Firm proudly represents people in Las Vegas, Prump, Henderson, Green Valley and Boulder City, Nevada. Fighting for your rights Nevada law imposes upon businesses an obligation to protect the public from unsafe conditions on business premises. When the carelessness of the business causes you injury, you deserve compensation. At The Galliher Law Firm in Las Vegas, we fight for your right to full and fair compensation for past and future medical bills, lost income, emotional distress, and pain and suffering. Don't delay At The Galliher Law Firm, our lawyers immediately and thoroughly investigate every case. It is important to preserve valuable evidence before businesses have the opportunity to repair the circumstances that caused your injury. By contacting an attorney right away, you make it less likely that evidence will be destroyed. Our attorneys visit the premises where your accident occurred, gather crucial evidence, photograph the accident scene and interview witnesses. If you miss Nevada's statutory deadlines for filing your personal injury claim, you lose the right to sue. Contact The Galliher Law Firm immediately so we can protect your rights. Expert consultants The Galliher Law Firm has 39 years of experience with personal injury claims. We call upon top experts in personal injury to assist with case preparation. With the help of physicians, chiropractors and forensics engineers, our attorneys are able to negotiate the best possible settlements. At trial, these experts deliver compelling testimony about the conditions of the premises and the extent and impact of your injuries. Affordable representation Paying for your legal representation should not add to the financial strain of medical bills and lost wages. The Galliher Law Firm handles your personal injury claim on contingency. We do not charge you for our services until we win for you. Clark County and American Bar Associations; State Bar of Nevada; Nevada Trial Lawyers Association; The Association of Trial Lawyers of America. Phi Alpha Delta. Comment Editor, Arizona State Law Journal, 1973-1974. Author: "Termination of the Parent-Child Relationship: Should Parental I.Q. Be An Important Factor," 1973 Law & Social Order 855; Supplement to Comparative Analysis of Nevada Law, Rules and Practice with ABA, Standards of Criminal Justice, 1975-1976. Member, National College of Criminal Defense Lawyers and Public Defenders, 1975. Member, Board of Governors, March of Dimes, 1977. Instructor, Hotel Law, University of Nevada at Las Vegas, 1980. Judge Pro Tempore, City of Las Vegas, 1983-1999. Founding Colleague, Nevada Law Foundation. Member, Southern Nevada Medical-Legal Screening Panel, 1997-1999. Senior Counsel, College of Master Advocates and Barristers.